This project seeks to research and develop a process that allows the volume of plastic recycled to be increased, given that approximately 70% of Europe’s plastic waste currently ends up at dump sites or incinerators, along with all of the pollution, greenhouse gas emissions, and negative social perceptions that entails. 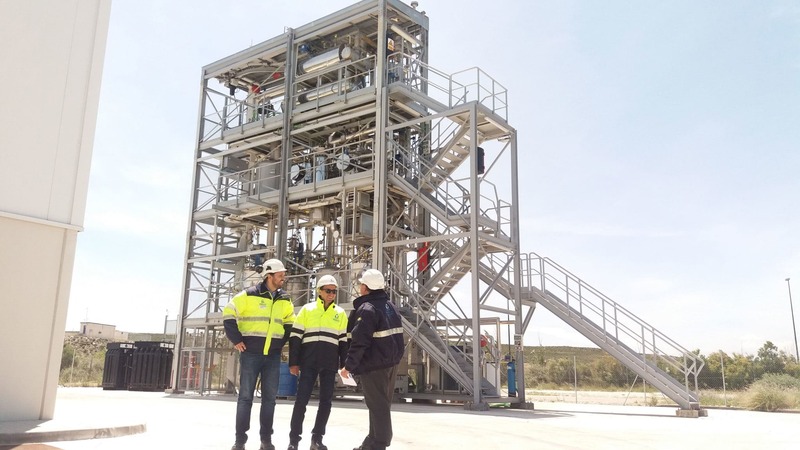 iCAREPLAST offers a solution that will be tested in a pilot plant that is already available at URBASER’s Alfonso Maíllo Research Centre (CIAM) in Zaragoza. Through this project, the space will be modified, proposing the development of a combined process of pyrolysis, catalytic treatment, membrane separation, and oxy-combustion that allows chemical products with a high degree of added value (aromatics and alkylaromatics) to be obtained from heterogeneous mixes of plastics found in solid urban waste. These products will be given a new life as raw materials for the petrochemical, fine chemical product, automotive, and detergent/surfactant industries. 2 and solid sub-products (coal). The goal of the process is to maximise the balance between material and energy, minimise our environmental footprint, and guarantee economic sustainability. The iCAREPLAST project follows the guidelines of the circular economy, which are already present in URBASER’s philosophy. It aspires to increase the volume of plastic recycled, and create new value-added chemical products, all in an environmentally and economically sustainable way.